Wrapping Up Wrap Up London! As many of you know, Wrap Up London held their 6th annual coat collection this November. 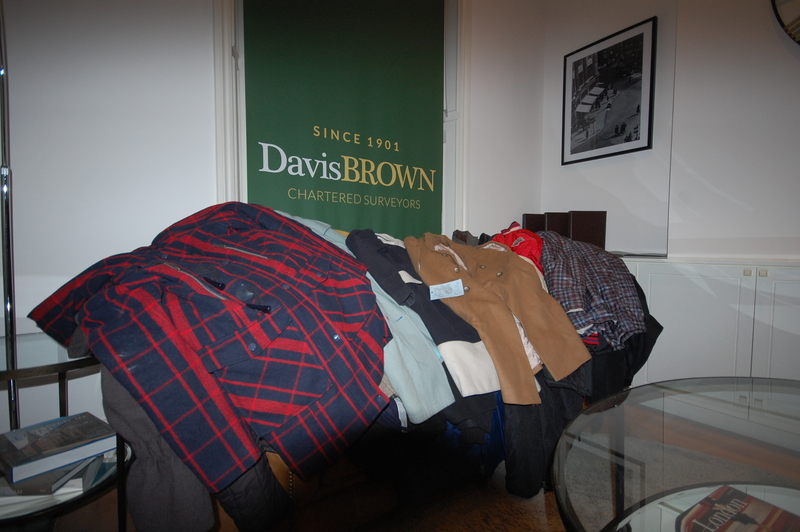 Davis Brown were thrilled to be involved by being a collection point for donated coats for Fitzrovia and the surrounding area, and we’re extremely happy to say it was a huge success. Wrap Up London smashed their target of 15,000 coats, which – as we speak – are being distributed to vulnerable groups and charities across the capital where they will be put to extremely good use at this freezing time of year. Word is spreading far and wide and Manchester has now joined in with Wrap Up London, and here’s to plenty more cities and towns all over the country getting involved for 2017! Our local community really did themselves proud with many local businesses and Housing Associations getting involved, and by the time the last coat was dropped off our Reception room was brimming with cosy coats! At the last count we had nearly 100 donated in total and we made several trips to Safestore on Pentonville Road, who were holding all donated coats before they went out for distribution. Davis Brown will be getting involved again next year, but for now we would like to thank each and every one of you who helped this wonderful organisation; many local residents and businesses gave so generously to make 2016 Wrap Up London so successful and we are extremely proud of our fellow Fitzrovians!